Well drilling is something that has been done for many years – hundreds of years in fact. It is over these years that we have seen many advances in well drilling technology. From simple well drilling rigs to complicated and highly accurate and efficient rigs – the industry has seen it all. You will find that many companies offering such drilling services will have access to rigs that are outdated or antiquated. While these rigs might be able to successfully drill a well that will be fully operational, there is the risk of the equipment not being able to reach specific areas or places and you could even end up with your well being placed in an undesirable place. Make sure that your chosen well drilling service provider has access to multiple rigs to ensure that they can access areas that most other companies and rigs cannot. Save on your monthly water costs. You can expect for your well to save you money in as little as just 2 years from installation which means that the well drilling cost is quickly covered. Some states and governments offer tax breaks to homes with wells. You won’t expose your family to chemicals such as chlorine and fluoride which is found in city water supplies. At Hydro Solutions in Florida, we can provide you with professional well drilling services with multiple rigs and advanced well drilling equipment at our disposal. 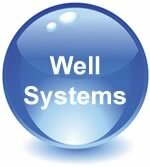 In addition to being able to create new wells, we can also assist you with rehabilitating your old well if it is not functioning correctly or has dried out. Contact us at Hydro Solutions for more information and advice on our well drilling services and related services today. How do you locate groundwater before drilling the well?